We gather in Church every Sunday, express gratitude for the wonderful blessings given by God, and praise God. We listen to the Word of God and are given the strength to live our lives now. You are welcome at anytime. Please join us! 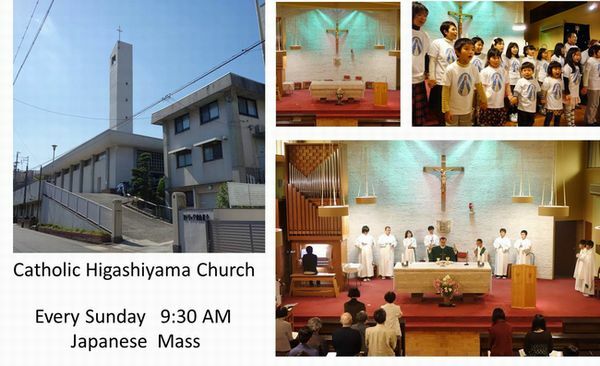 What is now known as Higashiyama Church was formerly St. Francisco Salesio Chikusa Church. In 1930, this church was consecrated by Fr.Joseph Reiners (Divine Word Missionaries), Apostolic Prefect of Nagoya. 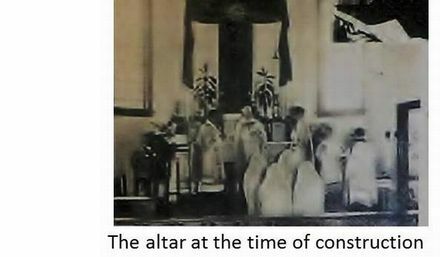 Although no photograph of the Chikusa church remains, there is a photograph of the altar inside the church. 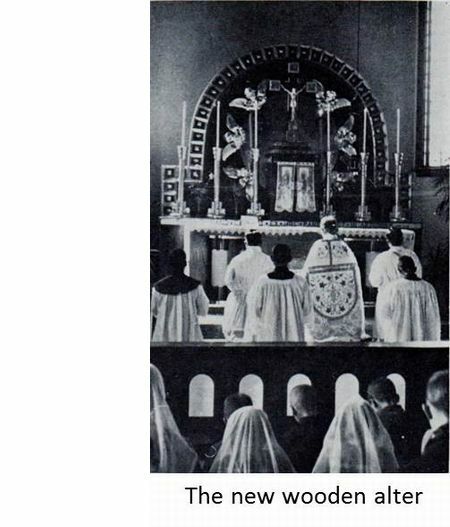 In 1939, a new wooden altar built by Fr. Maciosezek was consecrated by Fr. Gabriel who was provincial superior of the Divine Word Missionaries in Japan at the time. Subsequent to this, World War II broke out. Air raids on Nagoya became intense in 1945. The Chikusa church was burned down in an air raid on April 7, 1945. The Chapel of the Nanzan School was then established by Divine Word Missionaries and this was shared with the Chikusa parish. The Chapel was made into a temporary church until a new church was built several years later. We called this the “Kamaboko Church", since it was shaped like “Kamaboko”, a food made from fish meat. When the respective jurisdictions of the inner Nagoya parishes were revised, the name of the Church was changed from "Chikusa Church“ to "Higashiyama Church“. 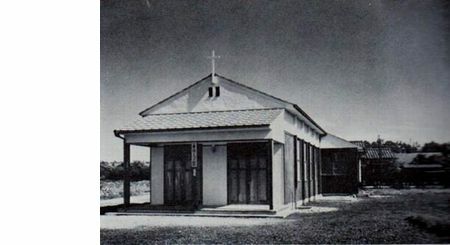 The new Higashiyama Church was completed in Motoyama−cho in August, 1951. 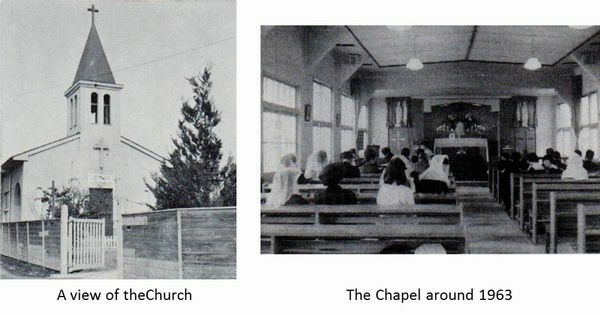 By1959, the church had become to small for the number of faithful. The building was moved to the southeast portion of the block and used as a parish hall and a new church was built using building materials from a former school. On December 12 , the dedication of the new Church was celebrated on a grand scale. Since the dedication was carried out in commemoration of the feast of the Immaculate Conception (December 8), the last feast day designated as commemorating the centennial of the declaration of the doctrine of the Immaculate Conception, the patron of the church was changed to the “Immaculate Conception” from this time. In January, 1963, Diocesan Advisory Council in the Diocese of Nagoya decided to carry out a transfer and expansion of the church using funds gained by selling off the land belonging to Higashiyama Church to Mitsui Bank. In April of the same year, the Church acquired a block of land in Karayama-cho and a preparatory committee for the construction of a new church was inaugurated. Construction of the new church started on October 15. 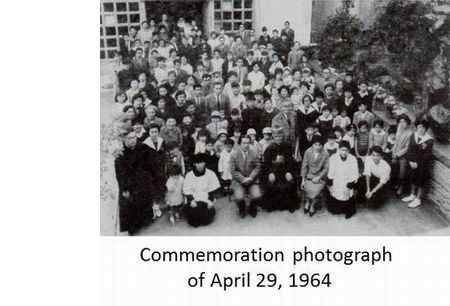 Higashiyama church was completed on March 29, 1964, and consecrated by Bishop Matsuoka on April 29. In 1974 waterproofing of the roof of the church and the priest's residence were large scale repair works carried out to celebrate the 10th anniversary of the relocation of the Church. The 50th anniversary of construction was celebrated in the spring of 2014.